A wide variety of computer classes will be offered at Project Self-Sufficiency’s Career Center during May. Classes in QuickBooks, Microsoft Word and Microsoft Excel will be offered at Project Self-Sufficiency, along with courses designed specifically for seniors and for men. All classes will take place in the agency’s Career Center, which is located at 127 Mill Street in Newton. The fee for each computer course is $10; the class for seniors is $25. Students must be registered Family Success Center or Project Self-Sufficiency participants. Introductory and advanced classes in Microsoft Word will be held. An introductory course in Microsoft Word will be offered on Mondays and Wednesdays, May 4th – 20th, from 10:00 a.m. – 12:00 p.m. Advanced Microsoft Word classes will be held on Tuesdays and Thursdays, May 5th – 21st, from 10:00 am. – 12:00 p.m. A combination Word I and II course will be offered on Monday and Wednesday evenings, May 4th – 20th, from 6:00 – 8:00 p.m. Students will learn word-processing techniques, including the creation of professional-looking letters, faxes, newsletters and other documents, as well as the use of mail merge features used to print mailing labels and address letters to multiple recipients. Introductory and advanced courses in Microsoft Excel will also be offered. Introductory Microsoft Excel classes will be held on Tuesdays and Thursdays, May 5th – 21st, from 12:00 – 2:00 p.m. A combination Introductory and Advanced Microsoft Excel course will be offered on Tuesdays and Thursdays, May 5th – 21st, from 6:00 – 8:00 p.m. Instruction will center on the creation of spreadsheets, databases and workbooks for use in tracking inventory, sorting data and creating mailing lists. Students will learn how to add, subtract, multiply and divide rows and columns using formulas and become adept at storing, managing and interpreting data. A course in QuickBooks Accounting Software will be offered on Mondays, May 4th – June 22nd, from 9:00 a.m. – 1:00 p.m. Students will learn how to organize personal or business finances, track orders and payments, generate invoices, monitor and manage expenses and produce sophisticated reports and sales forecasts. Seniors are invited to familiarize themselves with personal computers, learn how to use email and safely navigate the internet with “Better with Technology,” which will be offered on Fridays, May 8th – 22nd, from 9:00 a.m. – 12:00 p.m. This class is open to agency participants as well as seniors from the public. A special Men’s Employment Lab will be offered on Wednesdays, May 6th – 27th, from 9:00 a.m. – 12:00 p.m. or from 6:00 – 9:00 p.m. Participants will receive assessment testing, discuss short and long-term employment goals, obtain basic computer instruction, and assistance with resume development and job search techniques. 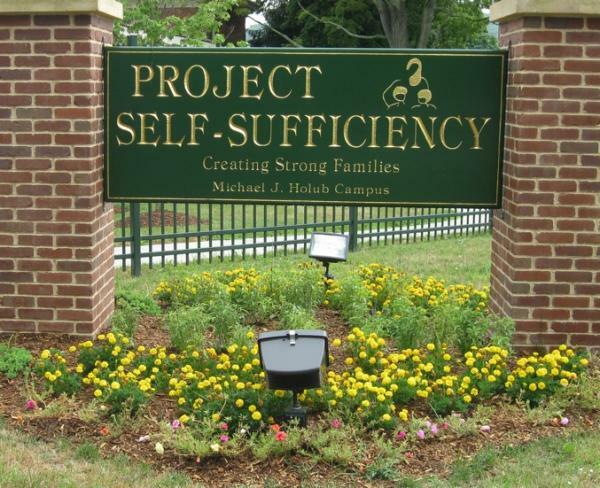 The Career Center at Project Self-Sufficiency is now offering participants new courses designed to maximize personal and professional skills, while combining career assessments, training and access to employment opportunities. The new “Career, Education & Employment Foundations” course bundles goal-setting exercises with introductory computer training and career seminars. Upon completion, students are poised to move on to more advanced computer training or enter the workforce. Separate sessions are available. 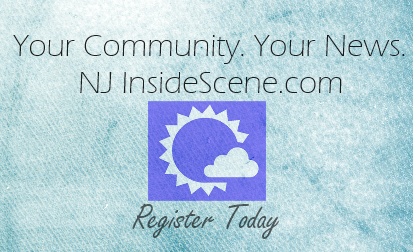 Session One will meet on Mondays and Wednesdays, May 4th – 13th, from 10:00 a.m. – 1:00 p.m.; Session Two will convene on Mondays and Wednesdays, May 18th – 27th, from 10:00 a.m. – 1:00 p.m. For those who prefer an evening schedule, the group will gather on Wednesday evenings, May 6th – 27th, from 6:00 – 8:00 p.m. The agency’s new “Foundations for Personal Success” series offers participants the opportunity to focus on interpersonal skills, such as anger management, effective communication, the establishment of healthy relationships, nutrition, social media and other topics. Session One will meet on Tuesdays and Thursdays, May 5th – 14th, from 10:00 a.m. – 1:00 p.m.; Session Two will convene on Tuesdays and Thursdays, May 19th – 29th, from 10:00 a.m. – 1:00 p.m. A separate evening session will meet on Tuesdays, May 5th – 26th, from 6:00 – 8:00 p.m. The agency also offers a series of seminars on Fridays, from 11:00 – 12:00 p.m., covering topics such as “Resumes & Cover Letters”, “Interviewing Skills”, “Job Search”, “Financial Management”, and “Careering 101.” Project Self-Sufficiency’s Career Center also offers help with obtaining a GED; job training for women, teens and young adults; career counseling and assessment; Job Start and Job Search services. Interested participants are encouraged to contact the agency for a schedule. The fee for each computer course is $10; the class for seniors is $25. All computer classes at the agency are open to registered Family Success Center and Project Self-Sufficiency participants. To inquire about eligibility, or to find out more about the computer courses, seminars or career fairs offered at Project Self-Sufficiency, call 973-940-3500, or visit www.projectselfsufficiency.org. On My Mind...What Do You Think?